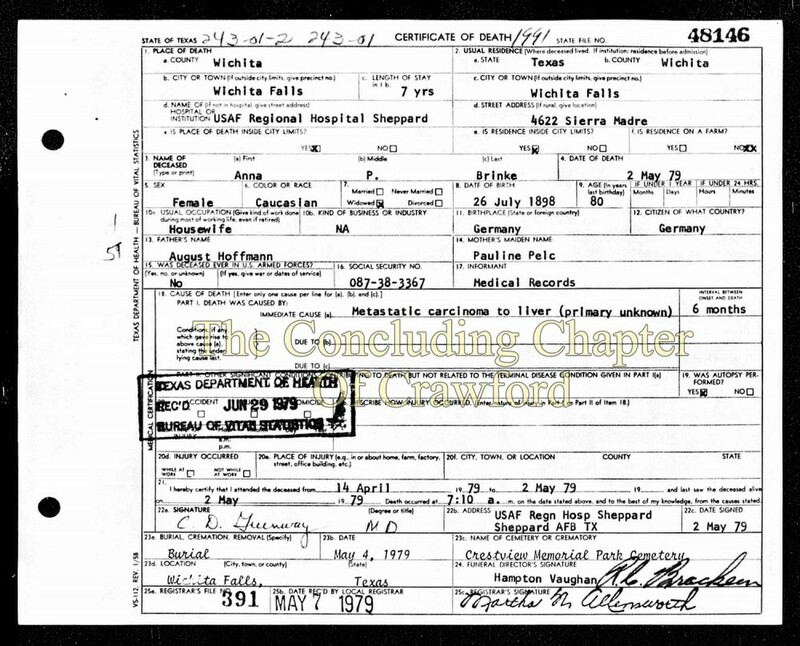 ​​Anna Marie Hoffmann Brinke "Mamacita"
Anna Marie Hoffmann was born on July 26th,1898 in Germany to August and Pauline Hoffmann. 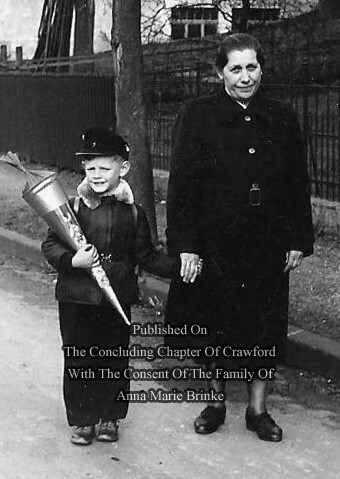 During World War 2, Anna lost contact with two brothers, and spent much time and money attempting to locate them, however, was never successful. 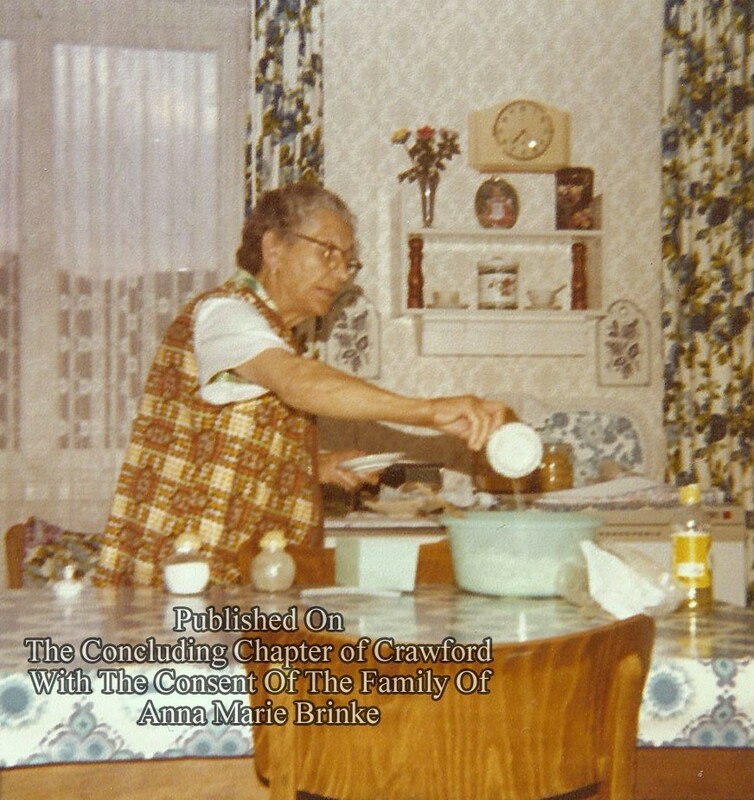 In 1957 Anna's husband passed away suddenly from a heart attack, and she moved from Werdohl, Germany to Long Island, New York to live with her daughter, Erna and family​​​. 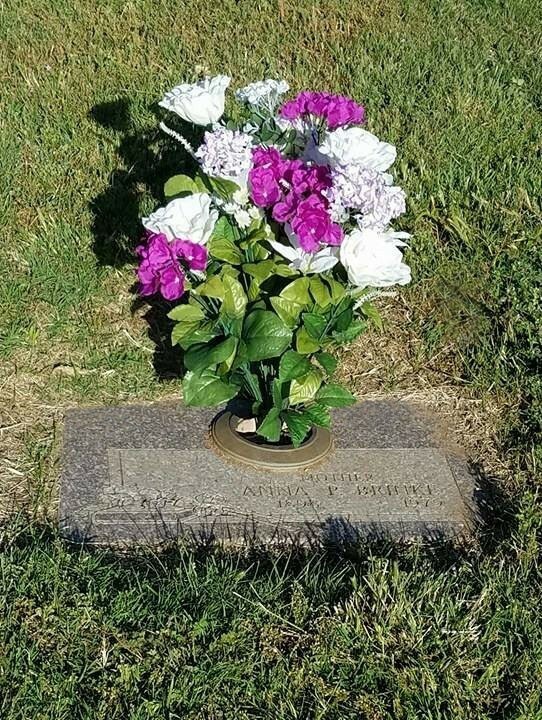 Her daughter Erna was born on May 3rd, 1923. 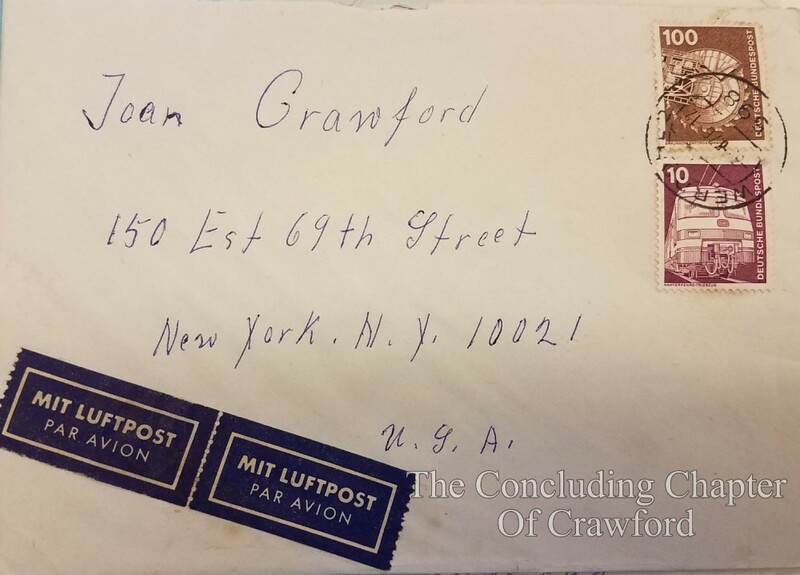 Anna came to work for Joan Crawford in the summer of 1961 following Joan's inquiry to a friend's maid as to who would be a reliable maid for herself. 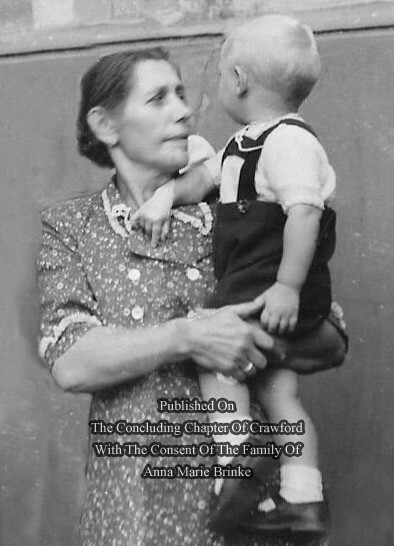 ​The lady referred Joan to her own mother, Anna. 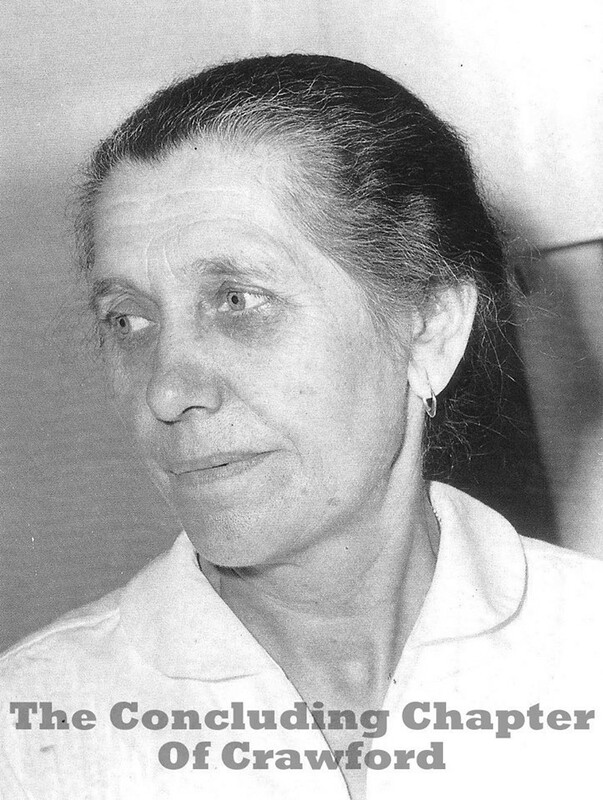 According to Anna's grandgrildren, (who refers to Anna as "Oma") Joan and Anna were very close and shared a close companionship, however, Anna did become frustrated with Joan on a number of occasions and threatened to leave her employment several times and would call her family to come for her. 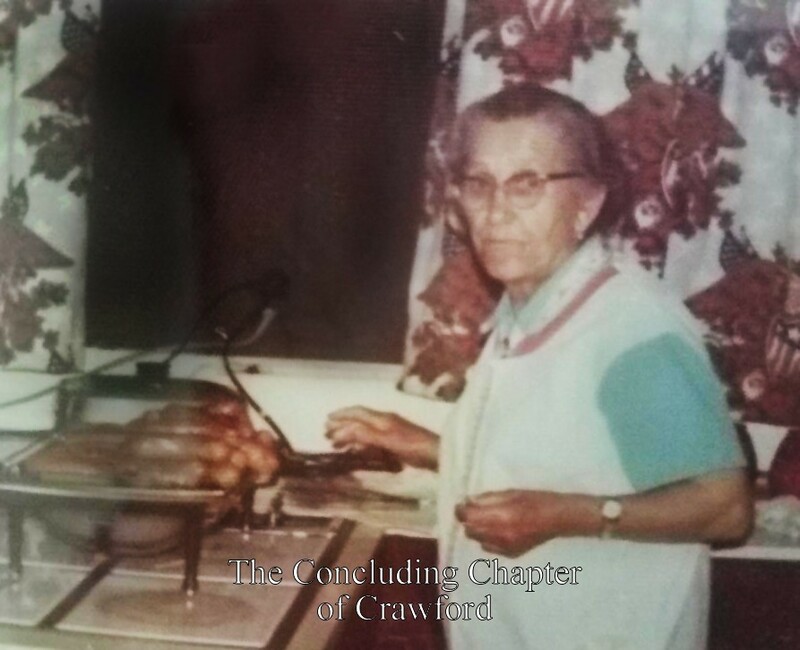 Anna usually enjoyed a once per month weekend-long visit with her daughter Erna, and her family who lived on Long Island, New York. 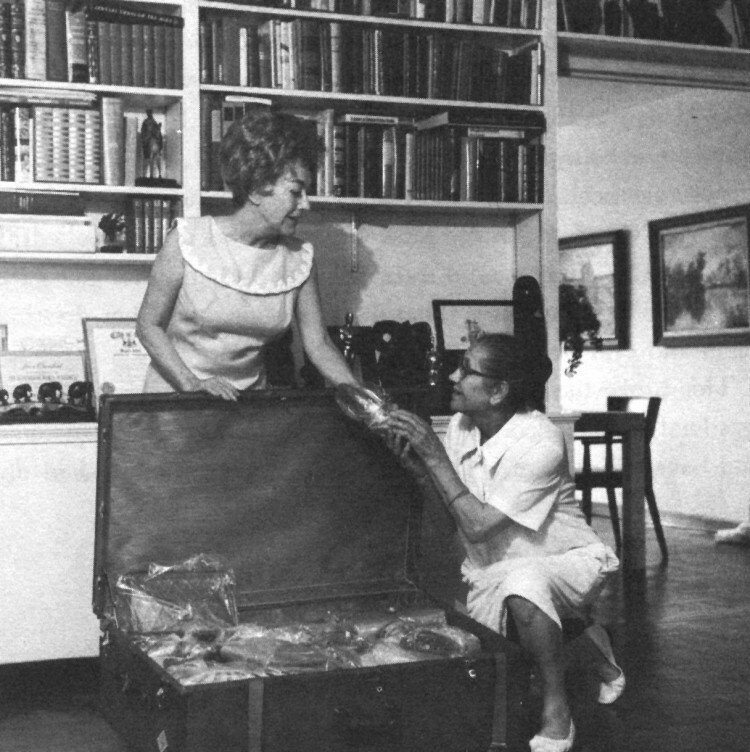 Anna knew very little English, and was not always able to communicate or understand people, however, when Joan had parties at her home, she was always chatted up by celebrities such as Cesar Romero, who would joke with Anna in the kitchen. Because Anna knew little English, to be polite, she would laugh and smile when the guest would laugh, taking cues from their expressions. 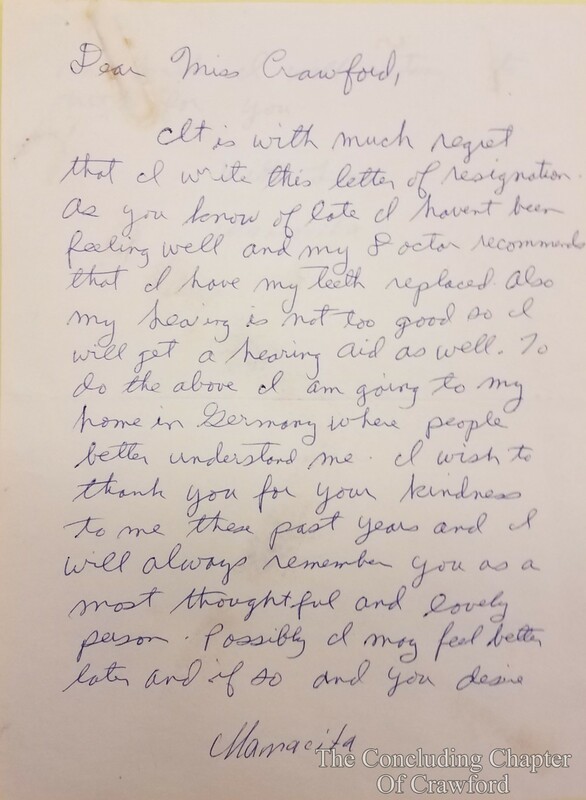 ​​​​​​​​ In December 1973, Anna visited family for Christmas, and upon her return, she gave Joan a resignation letter (displayed below) indicating that she was returning to Germany for some dental work, and to address other health issues, however, she also cited that she would return later if her services were needed. 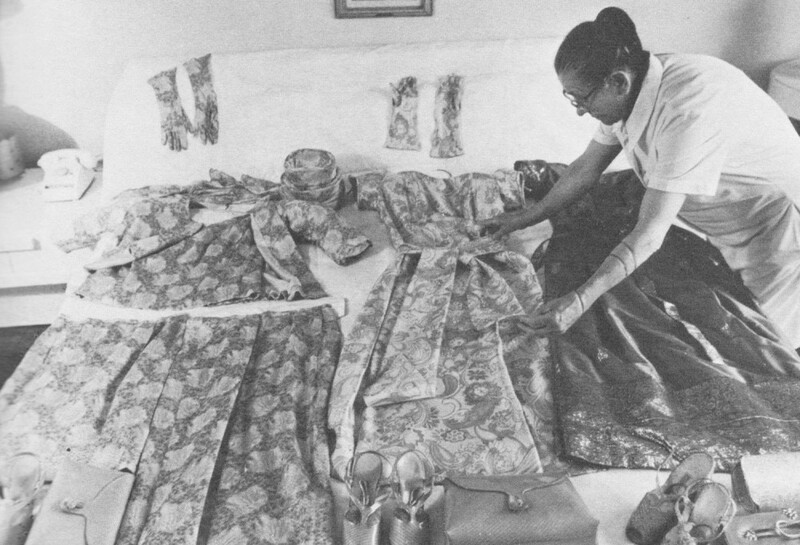 Ultimately, Anna never returned to work for Joan. 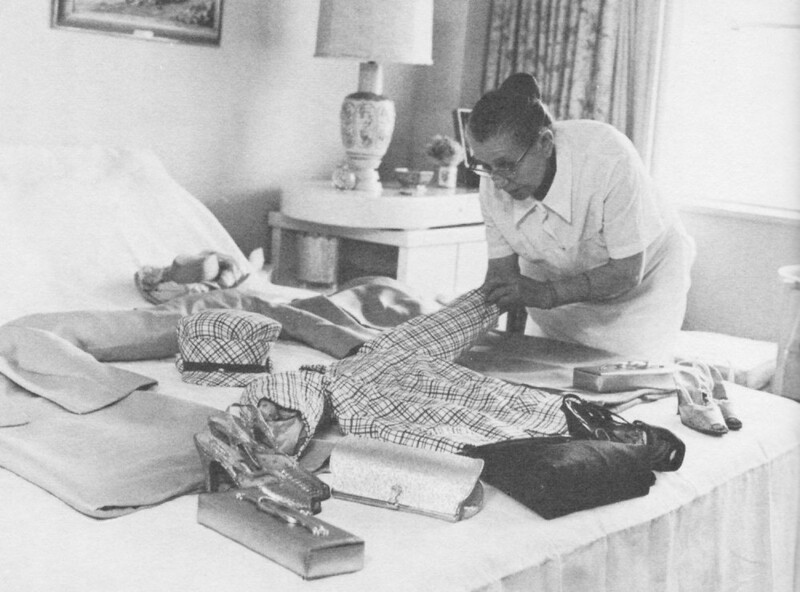 According to Anna's family, she left Joan's service because she was "tired of things being thrown at her"​, and that Anna left following Joan having had thrown objects at her twice shortly before 1974. 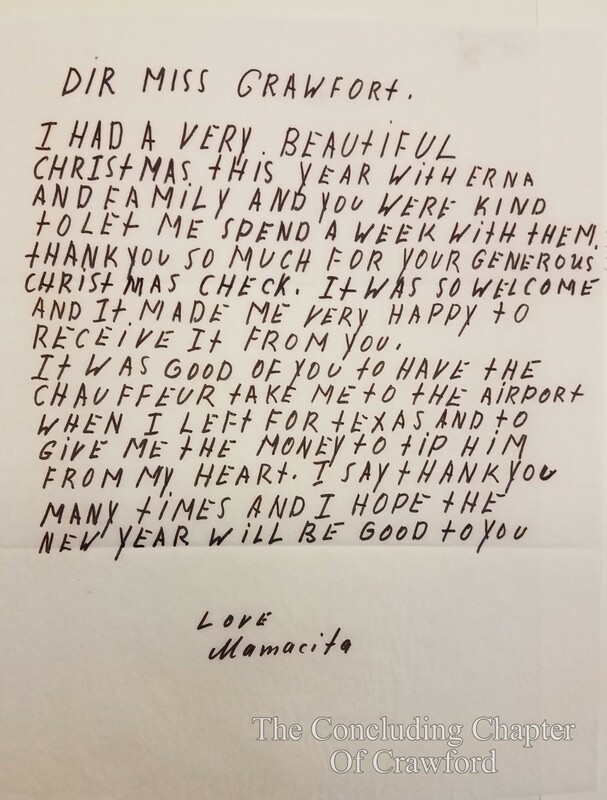 ​​​ Following leaving Joan's employment, Anna did return to Germany to live, and later returned to the United States to live with her daughter Erma and family in Texas. 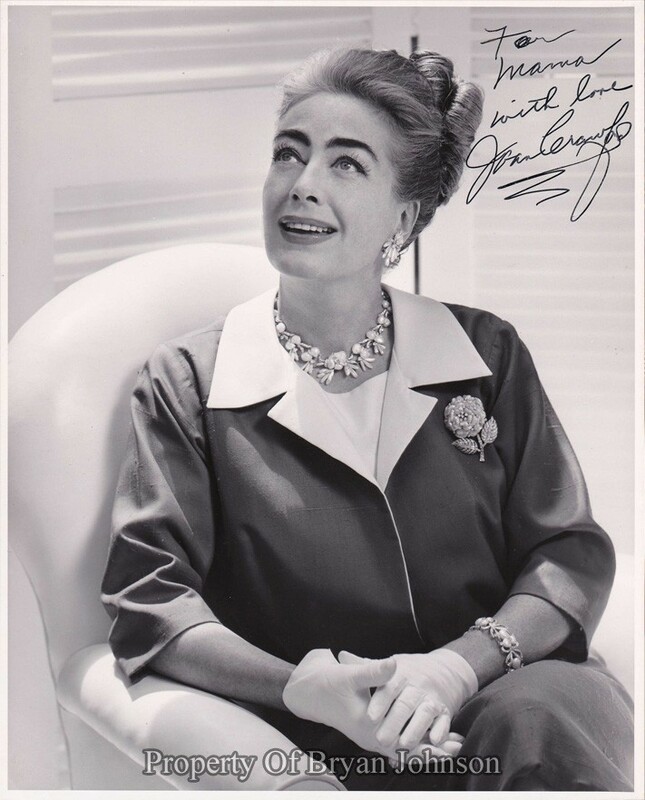 Above: Photos Of Anna circa mid-1950s prior to her employment with Joan Crawford. 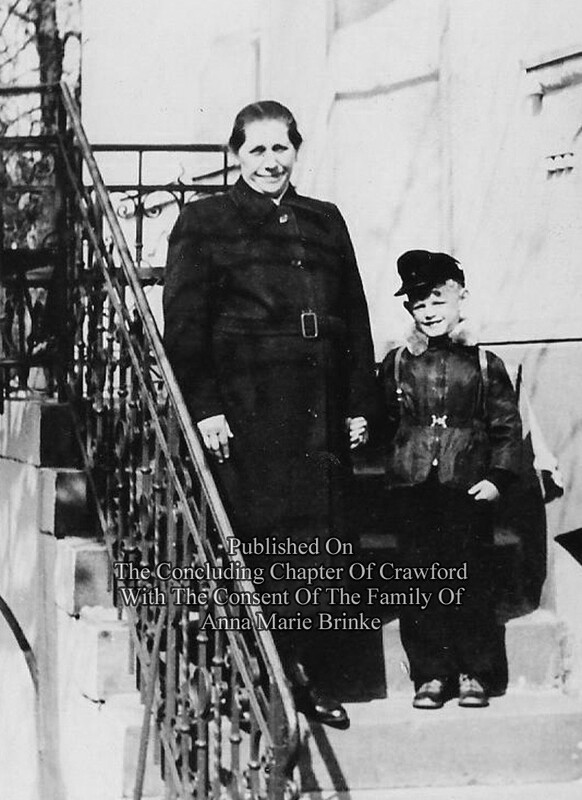 Pictured with Anna is her grandson, Mark. 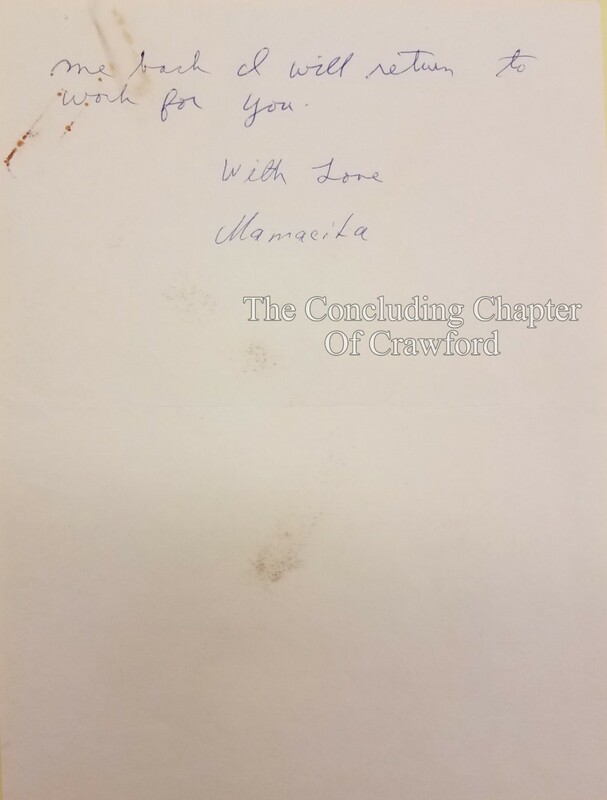 Above: Anna's two-page resignation letter to Joan. 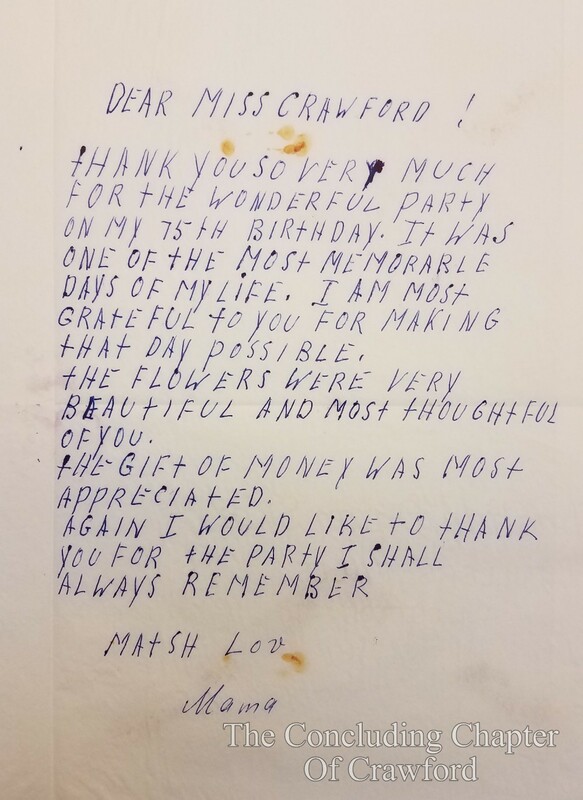 Above: Anna's "thank you" letter to Joan for her 75th birthday party. 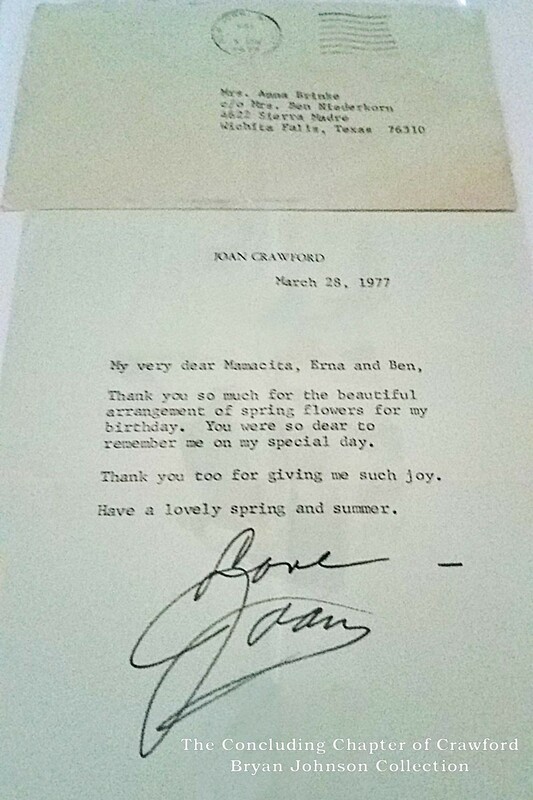 Two letters circa December 1973 from Anna to Joan telling her about Christmas and thanking Joan for her generosity. 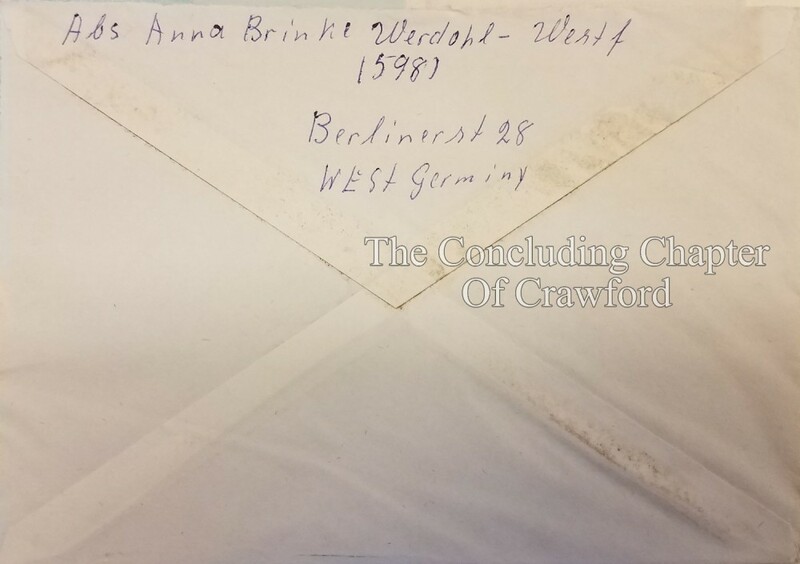 Above: An August 2nd, 1976 "thank you" letter from Anna to Joan (with the mailing envelope with Anna's Germany return address). ​ "I think it's time to explain that Mamacita isn't a Spanish girl, she's a German lady who raised nine children and has many grandchildren. I took a house in Westhampton nine or ten years ago - a place to take the children for the summer. I had no one to help me and I didn't want to spend two months making beds and scrubbing bathrooms. I called a neighbor who put his maid on the phone. "I know someone for you," she said. "But​ I don't know whether you can put up with her. She's never heard of a bucket and a mop." "Bring her over tomorrow morning. That's just my cup of tea. I never did think you could get into corners with any mop - Who is it?" "My mother," she said. "I'll bring her." The next morning I was on the phone when they arrived. I turned for a moment and said "Start in my bedroom and then down here," and then I went back to the phone. 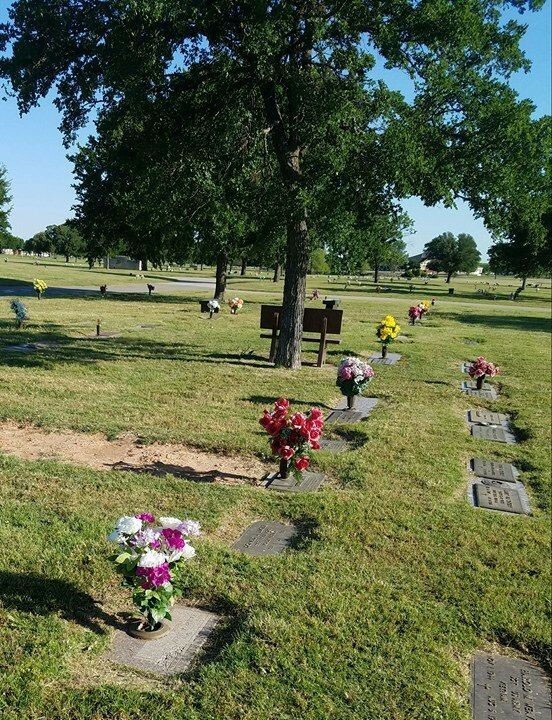 When I hung up I wanted to call her to come quickly to take the dogs out but I realized I hadn't asked her name, I had just returned from Rio Janerio, where all I had heard was mamacita, papacita, cousincita, everythingcita, so without thinking I called out "Mamacita!". Back she cried "Ya, Ich coming!" 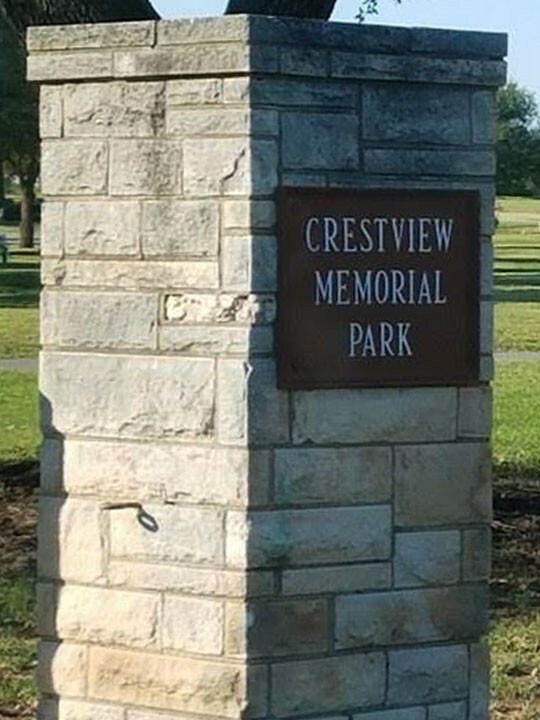 The name has stuck ever since. In all the countries we have traveled together, in all languages, everyone calls her Mamacita. We had language problems for a while, and it gave me the best exercise I've ever had in pantomime. I had to act out everything I wanted her to do, speaking slowly and distinctly about each action, each idea. I'd say, "Guest lady, this room. One bed only." She'd watch mu mouth carefully​​​​​​​​​​​, then watch my elaborate little scene. Finally a beautiful smile of comprehension would spread over her face and she'd say, "Oh, ya! Ya! Ich do!" Inevitably, when we're traveling, she's referred to as my mother. 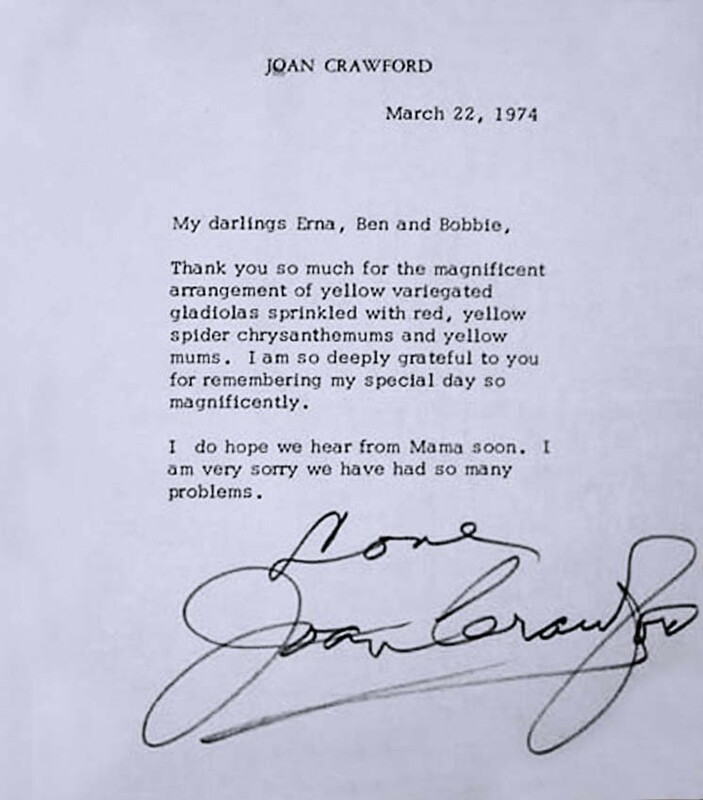 "What would your mother like to drink, Miss Crawford?" She'll giggle and nudge me, very pleased. "He thinks I'm your mama!" In 2017, actress Jackie Hoffman portrayed "Mamacita"
​on the FX television miniseries "Feud: Bette & Joan". 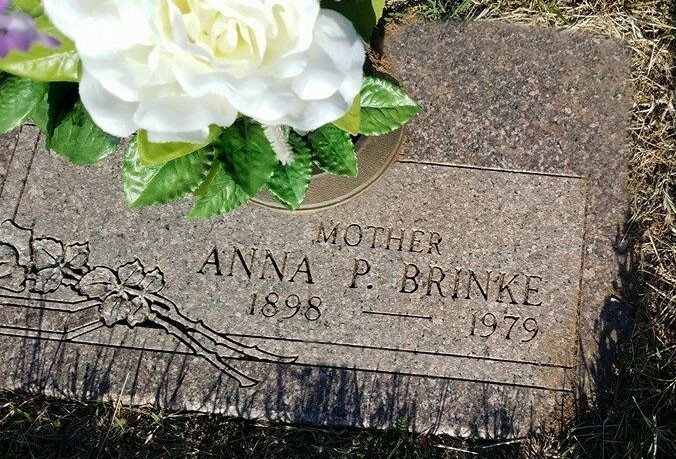 ​many ​memories and stories with me, ​and also ​for generously sharing photos of ​Anna for use on this website. 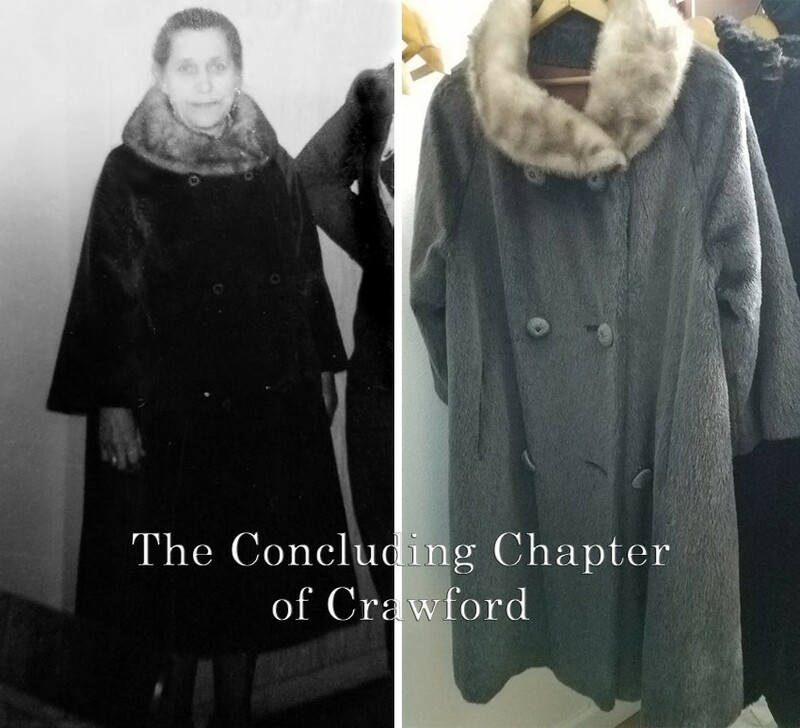 With the benefit of their invaluable assistance, a more fully formed portrait of this lady can be revealed than had been previously known. 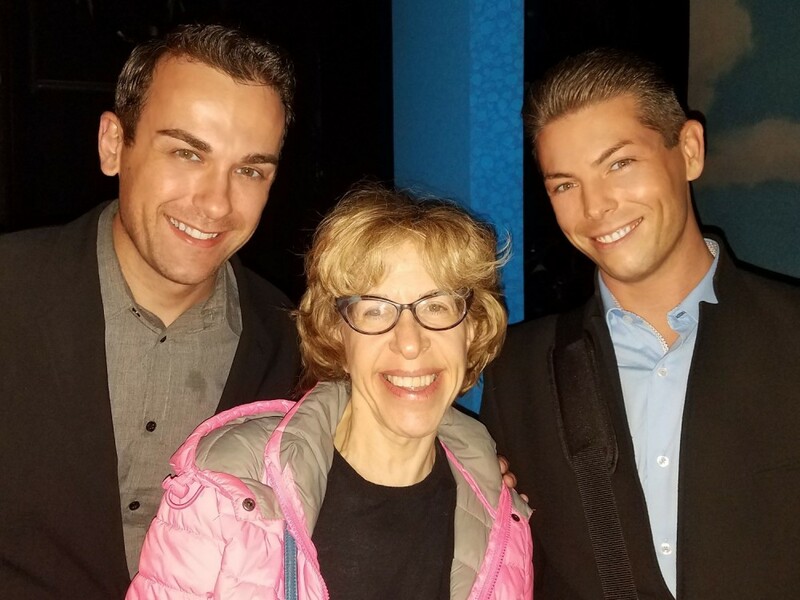 Jackie Hoffman with the Webmaster (on right). 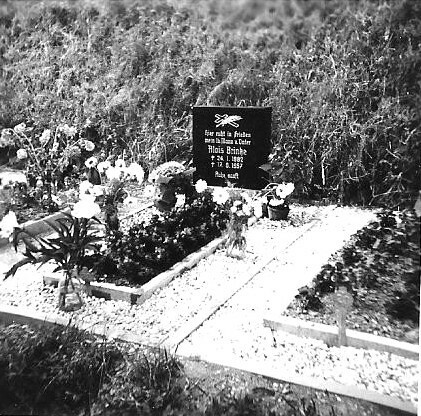 Above: A photo of Anna's husband's grave in Germany. 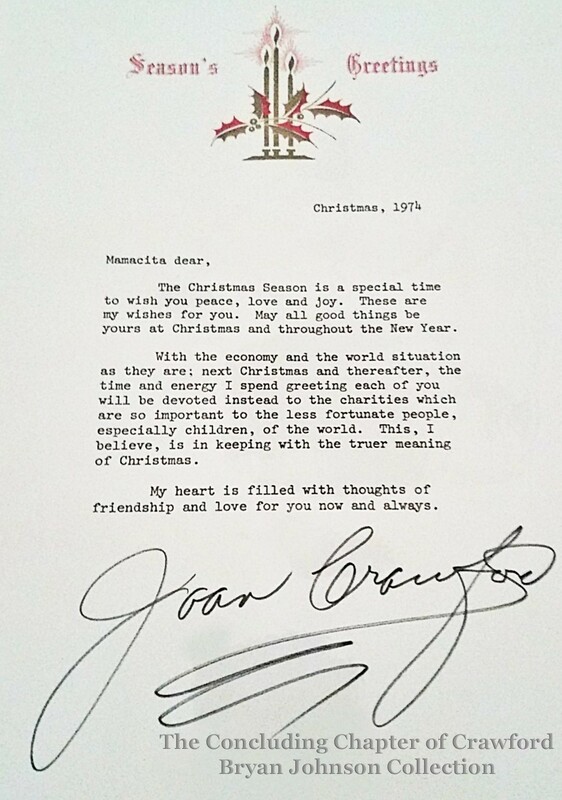 Above: Joan's final Christmas greeting to Mamacita. ​ Following her forced retirement as a member of the board of Pepsi-Cola, Joan's economic situation could not afford the thousands of Christmas greetings she sent each year. 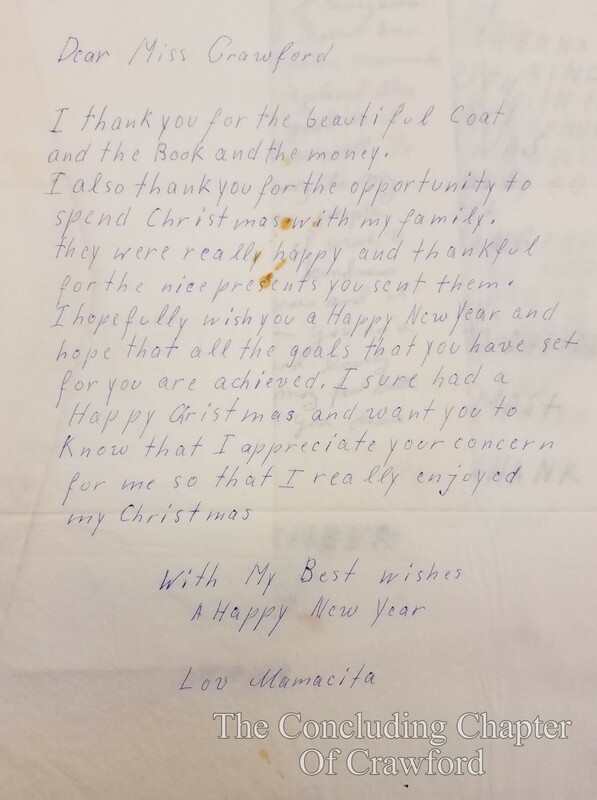 Her 1974 Christmas greetings ​all bore this same message regarding her Christmas greetings for the future. 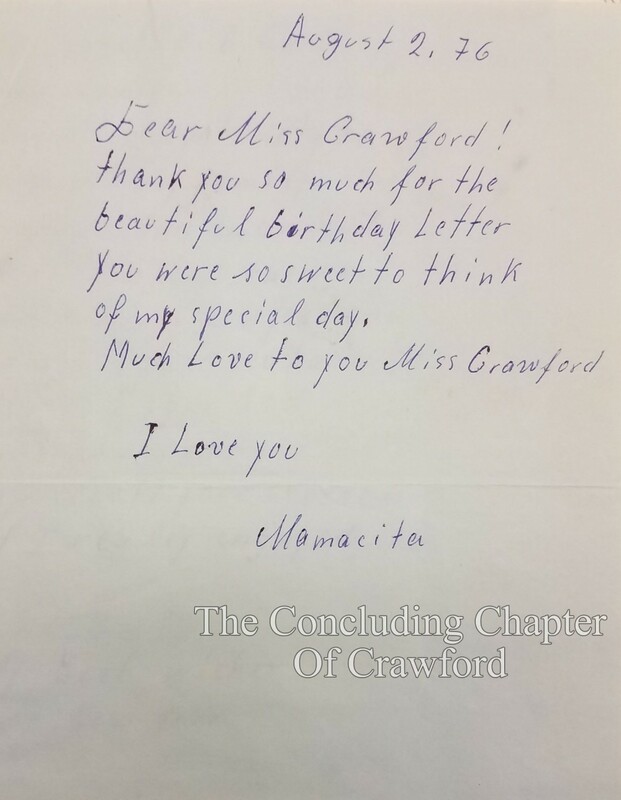 Above: Joan's final communication to Mamacita, a thank you letter for the flowers Mamacita and her family had sent Joan for her birthday on March 23rd. 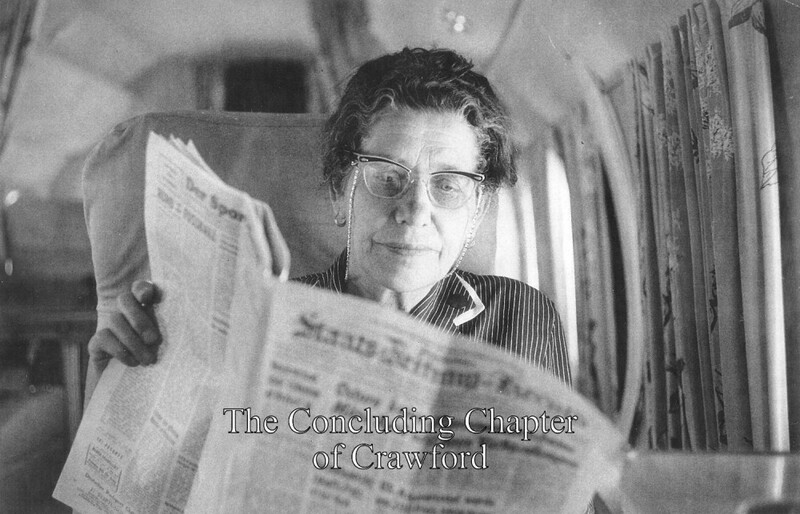 Above: Anna reading a German newspaper while en route on the Pepsi-Cola jet. Above: Anna following her retirement from Joan, still enjoyed the pleasures of cooking. 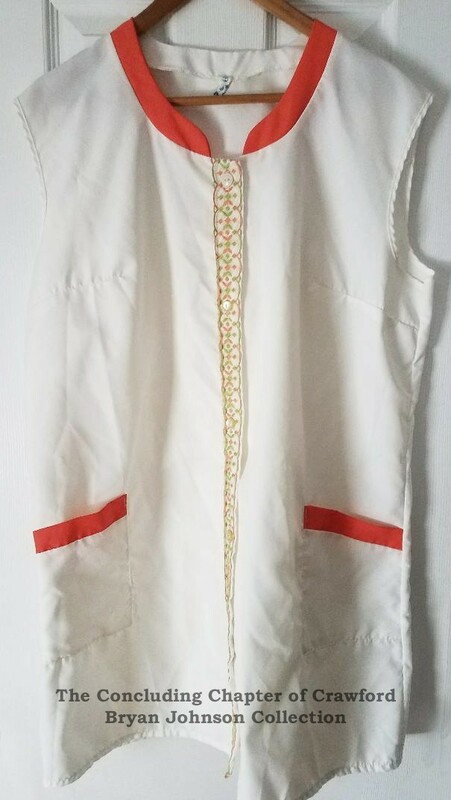 Right, Anna's smock as it appears today in the Webmaster's private collection.